During the development of MPEG-4, several liaison statements were sent to ITU-T suggesting to work together on the new MPEG-4 Visual standard and even on the MPEG-4 Audio standard, specifically on the speech coding part. As no responses were received to these offers MPEG continued the development of MPEG-4 alone. 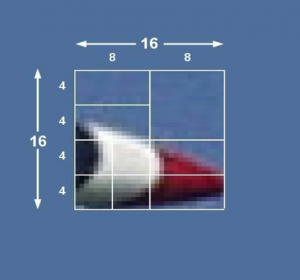 For several years the Video Coding Experts Group (VCEG) of Study Group 16 of ITU-T worked from the ground up on the development of new video compression technologies and achieved a breakthrough in compression performance around the turn of the century. In spite of the lack of official answers to our liaison statements from ITU-T, I decided that it would be in the industry interest to establish a working relationship. When Thomas Sikora left MPEG I appointed Gary Sullivan, VCEG rapporteur, as MPEG Video chair to achieve a belated convergence of ITU-T and MPEG efforts in the video coding area. At the July 2001 meeting MPEG reviewed the results of video compression viewing tests designed to assess whether there was evidence for advances in video coding technology that warranted the start of a new video coding project. With the positive result of the review, a Call for Proposals was issued and in December a Joint Video Team (JVT) composed of MPEG and VCEG members was established. The objective of the JVT was similar to the one that had been established for MPEG-2. The two main differences were that the JVT would only work on video compression and that the ISO/IEC standard and the ITU recommendation would only be “technically aligned” and not “common text”. With an intense schedule of meetings, the JVT managed to achieve the Final Draft International Standard stage of the new Advanced Video Coding (AVC) standard in March 2003. So AVC became part 10 of MPEG-4. A network abstraction layer (NAL) to format the VCL representation and provide header information (Fig. 1). 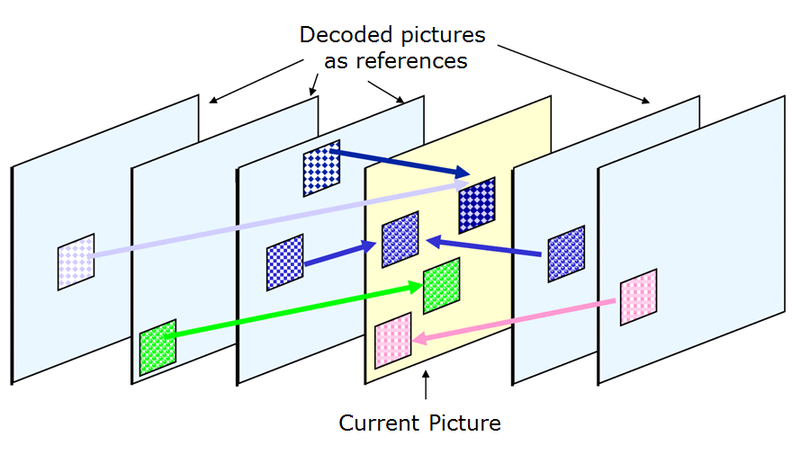 The picture parameter set (PPS) that applies to one or more individual pictures within such a series. 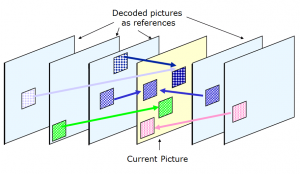 AVC is based on the so-called “block based hybrid video coding” approach where a coded video sequence consists of an independently-coded sequence of coded pictures. The AVC endeavour kept its promise of reducing by half the performance of MPEG-2 Video. 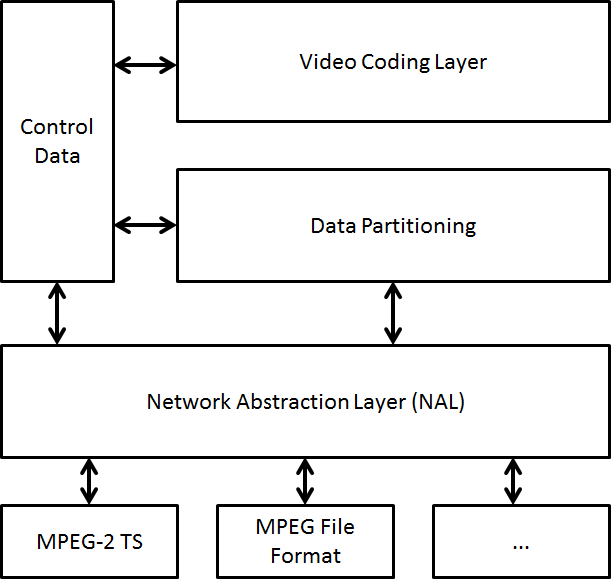 At the same meeting the JVT was established, MPEG started an investigation in video scalability that eventually led to the development of requirements for Scalable Video Coding (SVC). In a nutshell these imply that the encoded video stream should be structured into a base layer stream, decodable by a non-scalable decoder and one or more enhancement layer stream(s) decodable aware of the SVC standard syntax. A Call for Proposals was issued and this work item, too, was entrusted to the JVT’. 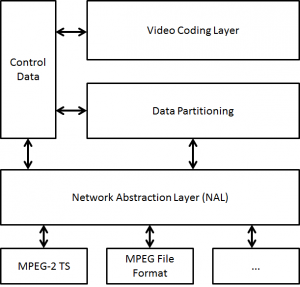 The enhancement layer(s) defined by the SVC standard can actually work on top of any base layer video coding standard. 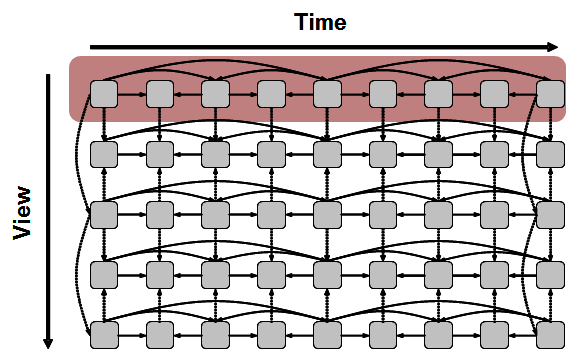 SVC is based on a layered representation with multiple dependencies. Frame hierarchies are needed to achieve temporal scalability so that frames that are not used as references for prediction of layers that are still present can be skipped, as indicated in Figure 4 where pictures marked as “B3” can be removed to reduce the frame rate by a factor of 3, and by removing those marked “B2” the frame rate is reduced by a factor of 2 etc. 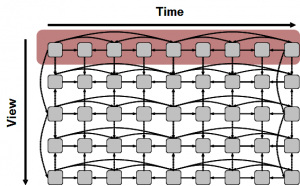 SVC offers a high degree of flexibility in terms of scalability dimensions, e.g. it supports various temporal/spatial resolutions, Signal-to-Noise (SNR)/fidelity levels and global/local Region of Interest (ROI) access). 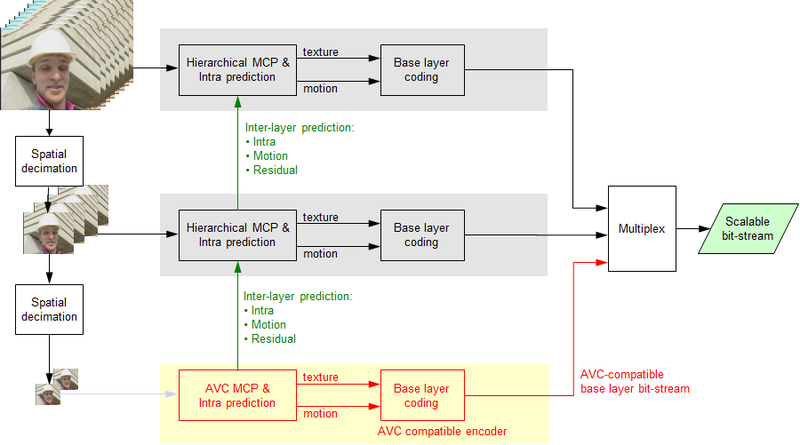 SVC performs significantly better and is much more flexible in terms of number of layers and combination of scalable modes than the scalable version of MPEG-2 Video and MPEG-4 Visual, while the penalty in compression performance, as compared to single-layer coding, is almost negligible. Up-sampled residual signal in case of inter-coded macroblocks. 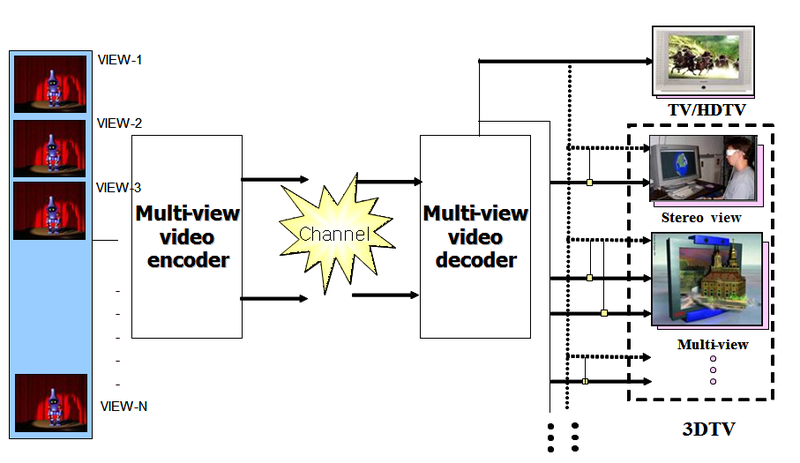 The seminal work on Multiview Video Coding carried out in MPEG-2 Video was extended for MPEG-4 Visual. 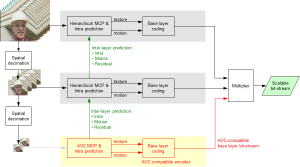 In AVC Multiview Video Coding further work was done to improve coding of multiview video. The overall structure of MVC defining the interfaces is illustrated in Fig. 6. The encoder receives N temporally synchronized video streams and generates one bitstream. 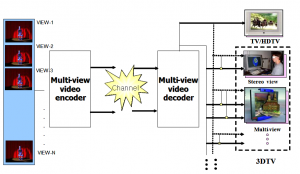 The decoder receives the bitstream, decodes and outputs N Video signals that can be used for different purposes: to generate 1 view or N views of a stereo view. The base view is independent of any other view and is AVC compatible that can be extracted to provide a compatible 2D representation of the 3D version.